Tomorrow, February 9th, is National Sweater Day here in Canada. 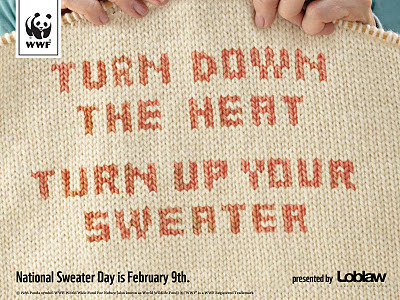 Getting a knitter to wear a sweater is easy. Trying to decide which one to wear is a little harder. Thank you for posting that, I wasn't aware of it. I love the grannies making the phone calls.